When I've hosted webinars about using storyboards the vast majority of attendees expressed interest in using storyboards for in language arts or social studies lessons. That makes sense because storyboards are a natural fit in language arts and social studies classes. Storyboards can be used for math and science lessons too. In fact, Storyboard That offers some lesson plans for teaching elementary school mathematics with storyboards. 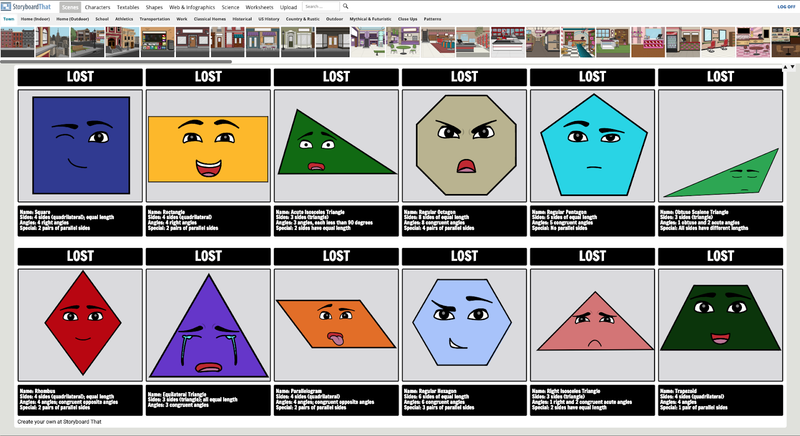 In Storyboard That's teacher guides you will find lesson ideas for teaching addition and subtraction of fractions and introducing geometry concepts amongst a handful of other ideas. Anyone can access these guides on Storyboard That's elementary school lesson plans page. If you have a Storyboard That account you can make copies of the storyboards featured in the lesson plans. The storyboards that you copy from the lesson plan into your account can be modified to meet your students' needs. Disclosure: Storyboard That is an advertiser on this blog.